Arsenal Advertising is dedicated to doing good work for good clients who share our passion for building a brand that will stand the test of time. This emphasis drives every decision we make, both as an agency and in our work. From our first meeting with a client to the final delivery of a project, we go above and beyond for our customers, stand up for the best solutions, and work tirelessly until we've created a brand or solution that will live on forever... A brand that will stand for good. With 9 employees, we are a small but mighty machine that supplies a highly diverse arsenal of people, resources, and capabilities. Arsenal’s roots run deep. Founded by a dynamic sibling team – one with a passion for the creative and one with a gift for client relations – the agency grew out of a simple idea: doing good work for good clients. 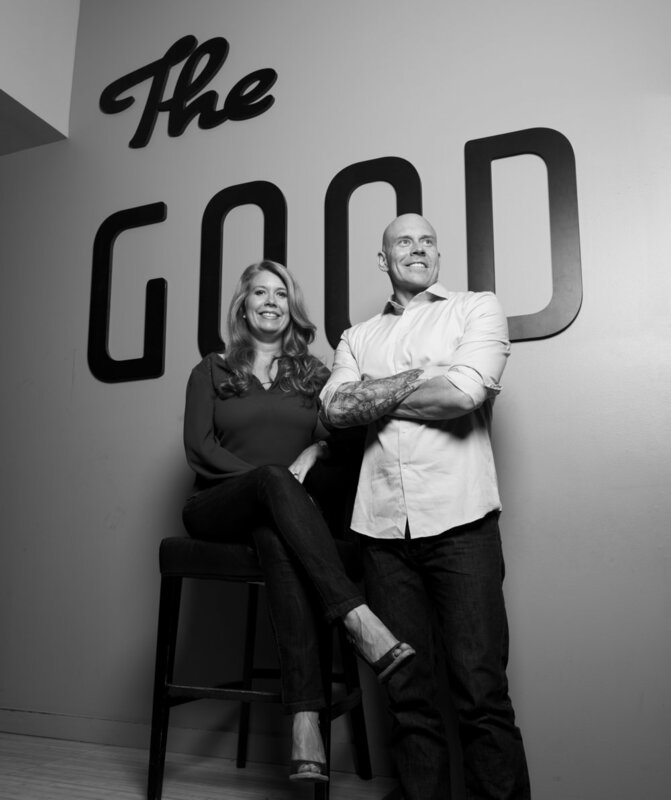 Since 2005, Anne Marie Scharrer and Jonathan Smith have been building good brands, taking names, and working to evolve the humble firm into the mighty boutique agency it is today. Very important photos of our humble abode and Tank, the office dog.